Cash-free businesses create a gulf between the people who can go there, and those who can’t. I was at a health-food and coffee shop on East Houston, grabbing an $11 vegan sandwich for lunch, when I noticed the man next to me, who appeared to be homeless, trying to buy a cup of coffee. The entire exchange wasn’t going well: First, there was the absence of any traditional milk from the dairy-free café’s “vegan mylk” selection. The coffee’s price, $2.95 for a small, was also fairly steep. But just as it looked like the situation was going to resolve itself, a final, insurmountable hurdle arrived: As the would-be customer started to pay with a stack of coins and notes in his hand, an employee was forced to tell him that cash wasn’t accepted at the café. Eventually, he gave the coffee to the man, only after the three of us stared at each other uncomfortably. Until then, I had been aware of cash-free restaurants and cafés, but had never fully grasped the effects of their growing numbers. Afterward, I realized “cashless” coffee shops, cafés, and take-out spots are everywhere. It also struck me that these businesses force people to adopt a way of shopping and living that not everyone wants, and that in doing so they create a gulf between people who can shop at these businesses and people who can’t. The more I thought about it, the more these businesses began to infuriate me. Are these business owners trying to keep out certain customers? What about children? Or people who are paid in cash, or others who, for whatever reason, can’t or won’t open a bank account (because they are undocumented, for example, or do not have a home or a fixed address)? What about tourists who simply want to avoid bank exchange rates? What about other people who, quite reasonably, don’t love the idea of companies like Apple and Square being able to track their complete purchase histories? And aren’t the businesses that refuse to accept cash really just sending a not-so-subtle message about the types of customers they want? An international Colloquium entitled ‘Digital Finance in Africa’s Future: Innovations and Implications’ was held in Johannesburg, South Africa, on 22-26 October 2018. 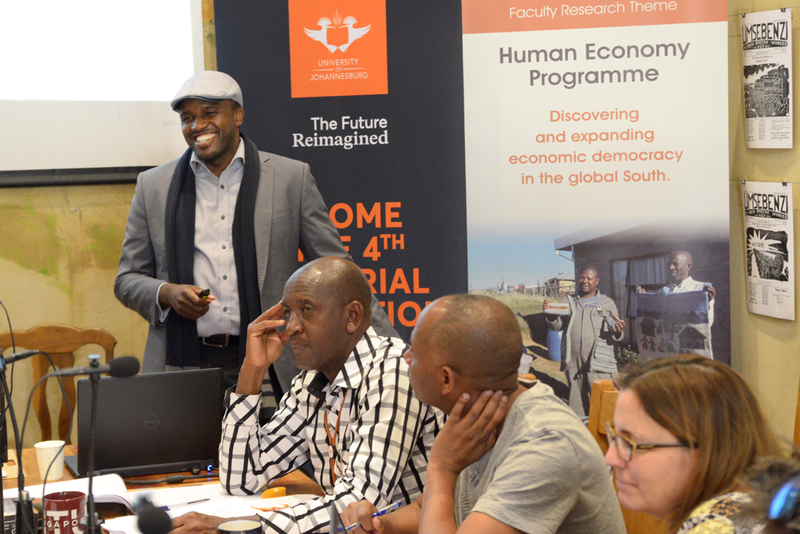 Organised by the Johannesburg Institute for Advanced Study and the Human Economy Research Programme at the University of Pretoria, in association with Disrupting Africa, the colloquium brought together African innovators in the field of digital finance, as well as academics from various disciplines within the humanities, to discuss the latest developments in this increasingly important field. 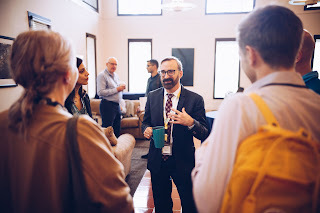 The participants were drawn from a variety of academic institutions and FinTech companies, including the University of Geneva, the University of Addis Ababa, The Institute for Money, Technology & Financial Inclusion (IMTFI), Temple University, and the American University, as well as MFS Africa, eTranzact, Creditable, Wala, Inclusivity Solutions and Gosocket. The South African Reserve Bank and the Central Bank of Kenya were represented as well. The Colloquium had two complementary aims. The first was to give some key players in the field of digital finance in Africa the opportunity to highlight the extent and sophistication of their innovations, and to discuss their successes as well as the obstacles and challenges they face. The second aim was to bring these innovators into conversation with academics with a special interest in the social, political and economic implications of the innovations in question. South Africa’s former Minister of Finance, Mr. Trevor Manuel, opened the colloquium by emphasizing the importance of understanding the social and economic implications of new payment technologies and the need for prudent yet enabling regulation: “We must build on the success of mobile money, where Africa is recognized as a world leader. But much depends on the extent to which existing institutions can respond the demands of rapid, repeated structural and cultural shifts, and, at the same time, drive financial access to better serve all people across Africa.” Further, he acknowledged that “we have to focus on whose interests will best be served by the race to digitalization” – in other words, to consider the social impact of FinTech innovations in addition to their technological feasibility and financial profitability. Mr. Manuel’s keynote speech led into an open discussion guided by Nnamdi Oranye, FinTech author and founder of Disrupting Africa, and Stephen Mwaura Nduati, former head of the Central Bank of Kenya’s national payment system. Eight working sessions took place over the next four days, each consisting of presentations by an innovator and an academic or a regulator, followed by group discussion. The topics included mobile money and digital payments, regulation, agent networks, remittances, G2P transfers, insurance, start-up capital, and the blockchain. While the number of delegates was kept small to allow for in-depth discussion among the delegates, ‘virtual participants’ from across the globe could follow the sessions via a live streaming platform and submit their comments and questions online. The consensus that emerged from the lively and highly interactive discussions – frequently extending beyond the allocated time slots – was that there is a strong need for innovators, regulators and academics to engage in regular and interdisciplinary debate. While most innovators are aware that the technological feasibility of an invention does not guarantee that it will be socially beneficial, they do not always have the expertise to consider the wider implications of their technological prowess. And while humanities researchers can provide these insights, they do not always fully understand the technological complexity involved or the financial and regulatory challenges faced by innovators. Finally, regulators need to balance the interests of governments, banks, and FinTech start-ups with broader concerns about social and economic development. This difficult task requires insights into both the technological and the social implications of FinTech innovations and new financial products. Other noteworthy points made by the delegates included the need to incorporate FinTech-related topics into academic curricula in order to prepare students for their future in a digital and globally connected world in the context of the Fourth Industrial Revolution. 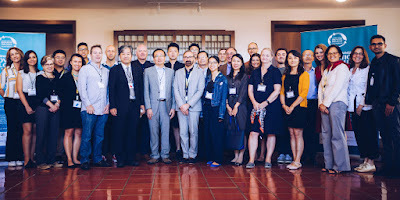 Further, the participants emphasized the need for a focused, interdisciplinary research agenda that explores both the technological and the social implications of FinTech innovations in different geographic, cultural and regulatory settings. With these goals in mind, the organizers would like to encourage individuals, companies and institutions with an interest in these issues to join our emerging network of scholars, innovators and regulators (contact details below). The highly successful format of this Colloquium lends itself to replication in other parts of the world where innovations such as mobile money have already had a transformative impact or will do so in the near future. 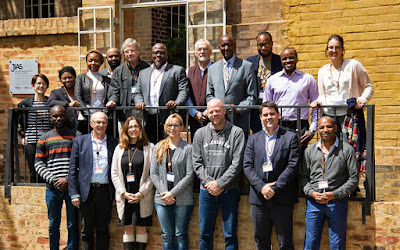 From left to right, back row: Mari-Lise du Preez (i2i), Olufunmilayo Arewa (Temple University), Ubuhle Zwane (MFS Africa), Sean Maliehe (UP), John Sharp (UP), Dare Okoudjou (MFS Africa), Peter Vale (JIAS), Stephen Mwaura Nduati (FinTech consultant), Sechaba Ngwenya (Creditable), Nnamdi Oranye (Disrupting Africa), Solène Morvant-Roux (University of Geneva). 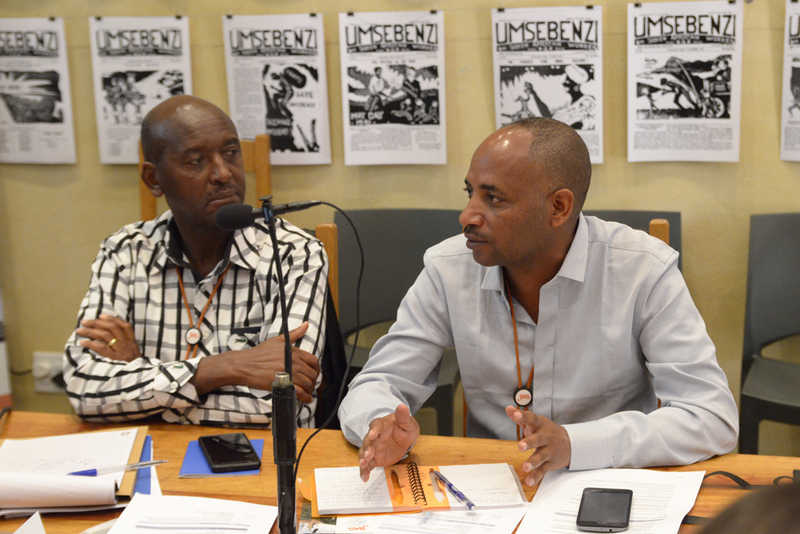 Front row: Observer, Hennie Bester (Cenfri), Sibel Kusimba (American University), Lena Gronbach (UP), Marc Wegerif (UP), Mario Fernandez (Gosocket), Mesfin Fikre Woldmariam (University of Addis Ababa). The detailed deliberations of the Colloquium will appear in the form of a conference report in early 2019. Recordings of the sessions and the opening event are now available here. Regular updates on the progress of this emerging project will be made available on the conference website. Be on the lookout for an upcoming blogpost from IMTFI alums on conference insights! On September 28-29, the 2018 California-Shanghai Innovation Dialogues hosted by UC Irvine brought together scholars, policymakers, and industry professionals from across the globe to discuss the ethics and broader social impact of emergent technologies, from insurtech to blockchain to roboadvising. Filene’s newest Fellow, Bill Maurer, gave a talk analyzing the burgeoning cryptocurrency ‘ICO’ phenomenon focusing on the power of big data and digital platforms to create seemingly totalizing systems. 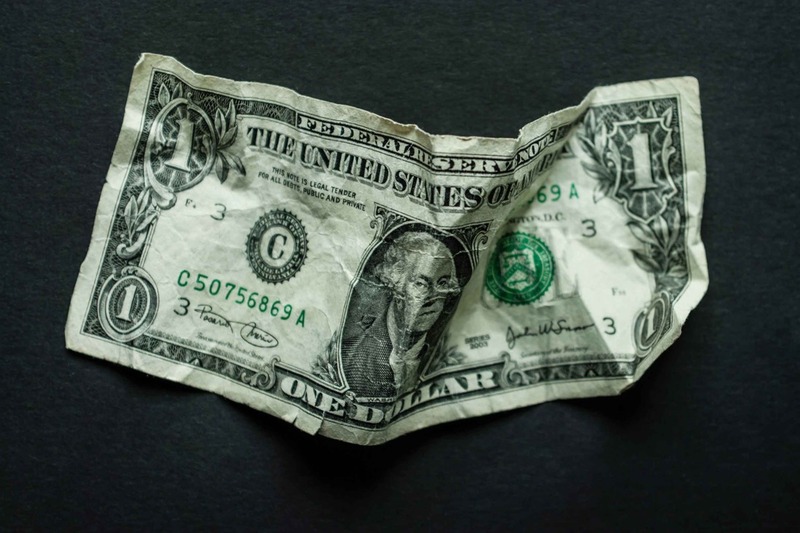 Here, Maurer teases out some of the major financial innovations headed our way and the socioeconomic implications that credit unions should be attuned to. What changes are happening in the international fintech space? We are living in an increasingly digital world. The decreasing costs and rising quality of smart devices is accelerating fintech use. More and more we can expect to see technologies developing around what some are calling the ABCDs: AI, Blockchain, Cloud, and big Data. In China in particular, apps that create an ecosystem of different utilities, such as WeChat Pay and Alipay, are becoming giants in the mobile payments space—and reaching beyond payments into transit, bike sharing, credit, dog walking, you name it. Although their rise in China is in part linked to particularities of the local context, it is important for us to understand these technologies as companies like Facebook, Apple, and Google make moves toward integrating payments, social media, news, and other applications. Filene Fellow Bill Maurer. Photo Credit: Marilyn Nguyen. Americans sometimes struggle to understand what they see as Chinese consumers’ relaxed attitude toward data aggregation. What is the appeal of these apps? For many in China, it is the same as the reason we in the US unthinkingly click through user license agreements without reading: convenience. Analysts are often quick to jump to a framework of surveillance and oppression in conceptualizing Chinese financial innovations. This isn’t unreasonable given the government’s proclivities toward censorship. There are already signs that “social credit” schemes (think Uber ratings, but for everything in your life) may be used to silence political dissidents. And products like Zhima Credit (also known as Sesame Credit), a new social credit scoring system offered by Ant Financial, coincide with broader government plans to collect citizens’ social credit data. 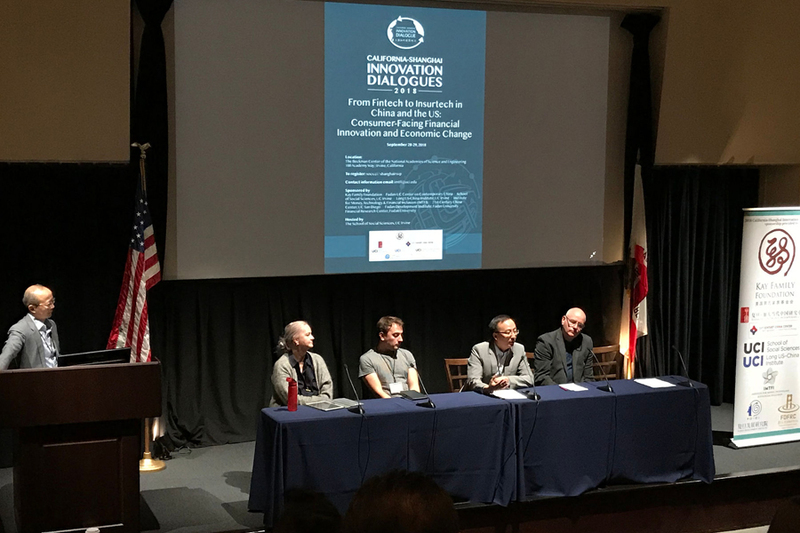 However, as scholars at the conference pointed out, these possibilities for algorithmic governance fit into a much broader system of regulation geared toward promoting and maintaining trust in China’s low-trust market environment. So it is important to keep in mind that “convenience” in China is bound up in the social value of stability, concerns over fraudulent goods, and transparent pricing; and that it means something completely different than it does in the American context. What is something unexpected social scientists have discovered about how people are engaging with new fintech? People in the tech space often pitch their products in terms of revolutionary, wholesale disruption. However, what we are finding is that rather than entirely replacing things that came before, fintech is creating new layers of possibilities. Turning again to social credit schemes in China, for example, researchers have found that migrant workers are using new apps to access credit in order to extend longstanding patterns of informal lending to friends. Migrants’ efforts to improve their credit scores, therefore, are not linked to a desire to consume more for themselves, but to be able to lend to relations and friends. It is important to pay attention to the way new technologies mix up formal and informal practices, as well as older traditions and tendencies around money with new delivery channels, interfaces, and possibilities. All these continue to be informed by culturally specific moral logics around money, as well as existing financial practices. What do participants in the credit union movement need to understand about new fintech products? Despite our best efforts to channel our customers’ behavior toward certain ends, humans will always find workarounds. No matter how “intelligent” roboadvising becomes, for example, it will never fully exclude affect and emotion. No matter how much data is collected by insurtech companies, there will always be a smoker who lives forever and a marathoner who dies young. Sociologist Liz McFall reminds us that the origins of the word risk are related to “things to avoid in the sea.” There will always be things to avoid in the sea: sea monsters, rocks, and reefs lurking beneath the surface that are not fully known. It is better to recognize when people are tinkering, subverting, and otherwise creatively repurposing our technology and try to understand what they are up to and why, than to assume they will adopt tech the way we intend. Take this conversation to the next level with Filene Fellow, Bill Maurer, when he speaks to how credit unions should analyze the risks of adopting new fintech with its promises and opportunity costs at big.bright.minds.2018. big.bright.minds. brings together experts from each of Filene’s Centers of Excellence to help us redefine consumer financial wellness. Join Bill Maurer and Filene in San Diego on December 6-7.